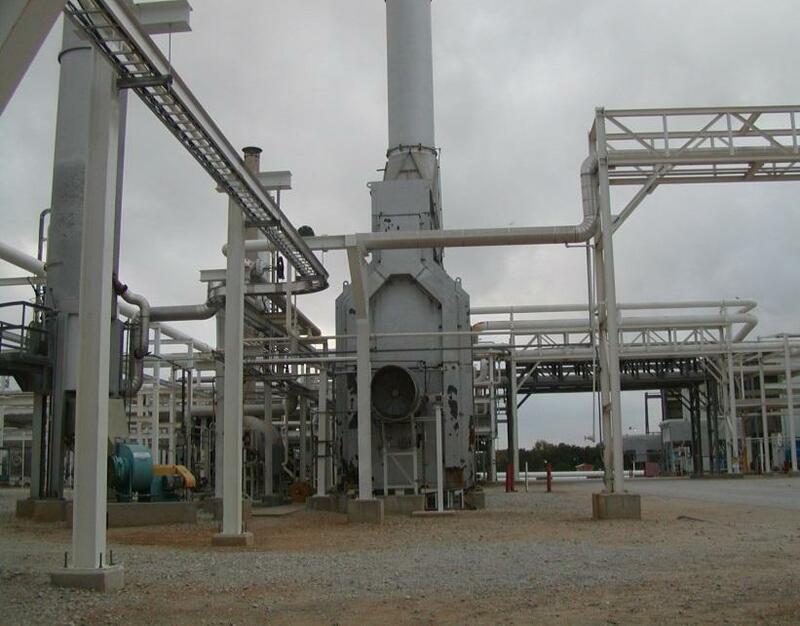 In 2011, Enlink Midstream’s Bridgeport Plant-4 API-560 Hot Oil Heater was experiencing a number of issues brought on by aging equipment and obsolete instrumentation. The heater, though fully operational, was at best difficult to start on demand and would regularly flame-out on heavy demand. Additionally, the Burner Management System was ancient and troublesome, and the fuel train had far outlived its mission lifecycle. Enlink needed a vender with experience and expertise in thermal processes, combustion solutions, Burner Safety Management, and NFPA-87. At the recommendations of both the heater manufacturer G.C. 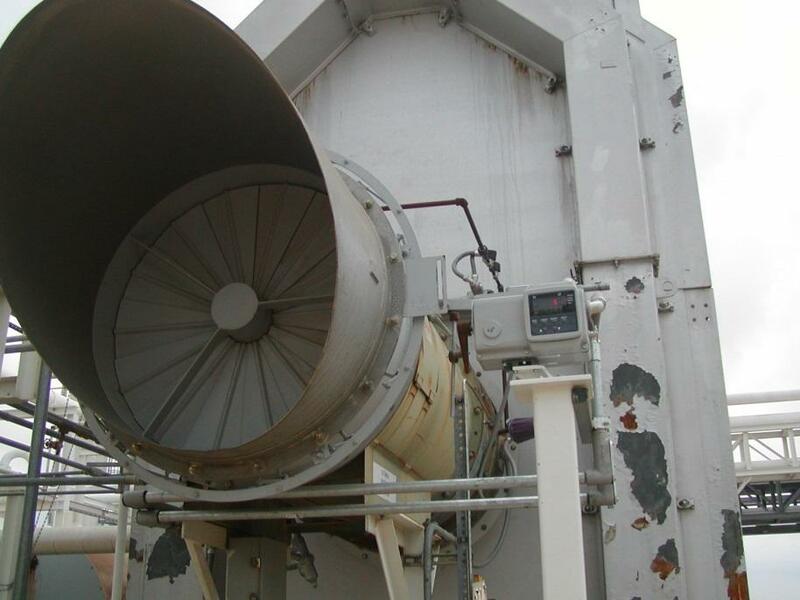 Broach, and the burner manufacturer, Maxon, Enlink contacted Federal Services LLC and tasked them to develop the appropriate solutions to bring the heater back to its full capabilities. 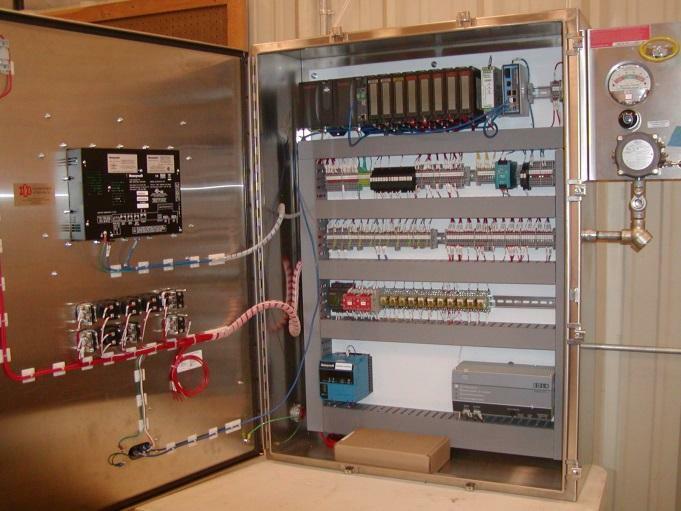 As an early adopter of the then new NFPA-87 recommended practice for Oil and Gas Processing Fired Heaters, Enlink requested Federal Services LLC, a NFPA-87 practitioner, to develop an NFPA-87 capable system for the Plant-4 HOH. Before the tasks of bringing the heater up to its optimum safety and performance standards were undertaken, Federal Services LLC utilized their in-house Safety Risk Analysis tool kit to determine the quantitative risk represented by the 50.0 MMBtu/Hr. heater. This set forth the level of risk to personnel and assets in the area of the heater and identified subsequent hardware to be used to negate the risk. Through this analysis Enlink and Federal Services selected the Honeywell HC900 platform integrated to separate Honeywell RM7800, SIL-3 Burner Controllers, and Honeywell SIL-2 transmitters. 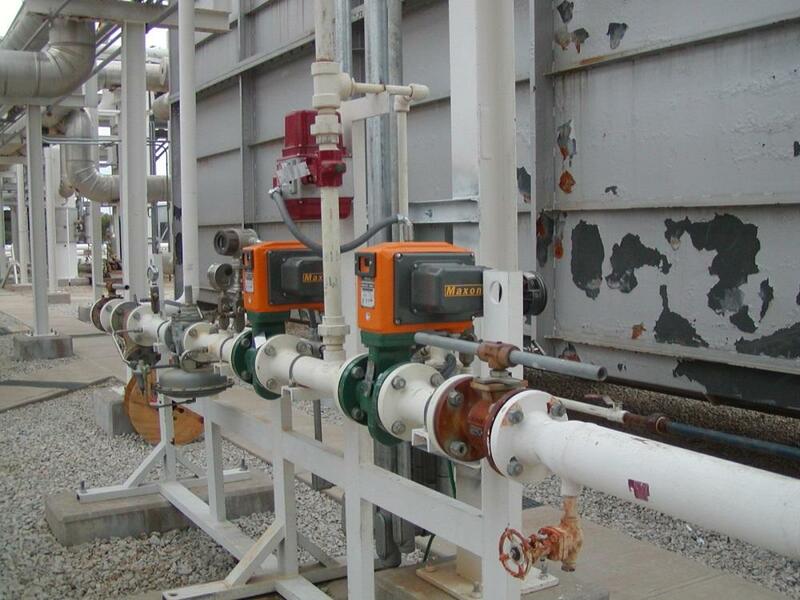 This instrumentation was then integrated to new Maxon-Honeywell Series CP5000 SIL-3 Capable Fuel Safety Shutoff Valves to make up a complete Burner Safety Management System. The first task was to address the aging Burner Management System as its replacement with a Burner Safety Management System would be the foundation for the rest of the modernization effort. Each identified Safety Instrumented Function (SIF) was then reviewed by the Enlink/Federal Services team and executed collectively in the Honeywell HC900 platform. A functional safety test was performed in shop prior to shipment and again on the finished installation. Management of the Safety Instrumented Functions of the heater. Provided thermal mass control of the energy flow through the heater. Provided combustion control for the burner. Provided burner access control for the heater. 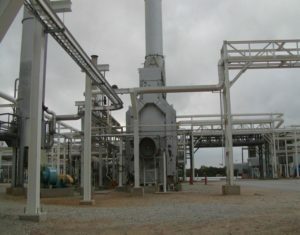 As a Honeywell vertical customer, Enlink utilizes the Honeywell Experion PK DCS system within this plant. As such the new Honeywell HC900 hybrid-PAC-controller was able to integrate seamlessly into Enlinks installed Experion base which allowed the Plant Operators a complete window in to the process and an extended alarm base. This enabled operations to easily load or unload the heater based on plant demand and identify any heater upset allowing the I&E staff to address any faults captured as quickly as possible. Additionally the ability of the RM7800 Burner Controller to communicate with the HC900 placed the burner sequencing data at the operator’s finger tips allowing trending of flame signals, pre-determination of flame scanner aging or lens cleaning requirements, and dynamic Burner Controller diagnostics. The principle burner starting issue turned out to be a worn-out combustion air control damper. The original Maxon MegaFire 45 combustion air damper was based on an internal ‘pie-plate’ design that over the years wore the sealing surfaces to the point where the minimum air flow was no less than 33%+ of the total capable air going to the burner. This resulted in very high excess air at ignition which would routinely blow the pilot out and caused extremely high Co emissions in the lower firing range of the burner. To correct this, the original internal dampers were replaced with a set of outboard inlet dampers. Once the new air dampers were in place the original fuel and air linkages were replaced with individual Honeywell Herculine actuators allowing the fuel/air to be managed by a Parallel Positioning Combustion Control strategy in the Honeywell HC900. The new combustion control strategy provided tighter and more reliable combustion fuel/air control resulting in a 10-20% fuel savings as compared to the ‘as-found’ conditions depending on the firing rate the burner was operating at. The new strategy also brought the exhaust excess Co emissions back to within the plants permitted levels. Once the HC900 platform was in place and the burner ignition and combustion control issues resolved modernizing the existing fuel train was a simple matter of replacing all of the non-SIL switches with Honeywell SIL-2 rated transmitters and installing Maxon SIL-3 capable Fuel Safety Shutoff Valves in place of the existing, non-code, ¼-turn fuel control valves. Transmitters were used in place of switches because they have a longer mean time between failure (MTBF), are easily tested and calibrated with the system on line, don’t drift as often as switches, and provide more tamper protection than a switch does. An additional benefit of using transmitters is that the HC900 can status check the signal integrity of any connected transmitter. It must be noted that the use of SIL capable or listed materials does not, in and of its self, make a SIL capable or even a NFPA capable Burner Safety Management System. A large part of the systems overall integrity and eventual acceptance within any organization is the integrator’s ability to follow and interpret the tenants of the codes being applied. Federal Services LLC as an active member of NFPA and as a Honeywell Combustion Solution Provider works closely with the jurisdictional authorities in many states to insure that our systems meet the highest standards and tenants of the recommended practices as published. Once a system is developed for a customer Federal Services LLC provides the owner with a Code Specific Safety Instrumented Functionality Check List outlining the instrumentation utilized to execute the SIF functions and the appropriate codification paragraph specifying the specific SIF. This is reinforced utilizing the HC900 Function Block Reporting capability which pictorially demonstrates the SIF for the owner and the jurisdictional authority, making SIF Loop check proofing an easy matter. Original Over-Drafting issue was causing high excess air in the furnace which leads to excess fuel usage, flame front striping, and high Co emissions.